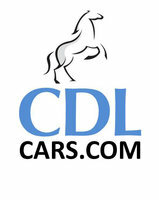 Sorry, we couldn't find any CDL Cars listings that matched your search criteria. Approved used: No Gearbox: Manual Colour: Grey Description: Used 2015 DS DS 3 Cabrio 1.2 DStyle Nav for sale - £8,349, 10,589 miles with AUX/USB connectivity, Air conditioning, Cruise control, Satellite navigation, Alarm/immobiliser, DAB radio, Alloy wheels, Bluetooth, ISOFIX, Parking assist. Approved used: No Gearbox: Manual Colour: White Description: Used 2015 Nissan Qashqai 1.5dCi N-TEC for sale - £11,846, 24,290 miles with AUX/USB connectivity, Cruise control, Satellite navigation, Alarm/immobiliser, DAB radio, Alloy wheels, Privacy glass/tinted windows, Bluetooth, Keyless entry/start system, Climate control, ISOFIX, Parking assist. Approved used: No Gearbox: Manual Colour: White Description: Used 2006 MINI Cooper 1.6 One (Pepper) Convertible 2d for sale - £2,790, 64,474 miles with Steel wheels, ISOFIX, Alarm/immobiliser, Parking assist. Approved used: No Gearbox: Manual Colour: Black Description: Used 2015 DS DS 3 1.2 PureTech Dark Light for sale - £10,290, 24,000 miles with Leather seats, AUX/USB connectivity, Air conditioning, Cruise control, Satellite navigation, Alarm/immobiliser, DAB radio, Alloy wheels, Bluetooth, ISOFIX, Parking assist. Approved used: No Gearbox: Manual Colour: White Description: Used 2017 Hyundai i20 1.2 Premium Nav Hatchback 5d for sale - £9,990, 8,962 miles with AUX/USB connectivity, Cruise control, Satellite navigation, Alarm/immobiliser, DAB radio, Alloy wheels, Privacy glass/tinted windows, Bluetooth, Reversing camera, Climate control, ISOFIX, Parking assist. Approved used: No Gearbox: Automatic Colour: Grey Description: Used 2007 Lexus RX 400h 3.3 SE (Multimedia) for sale - £8,290, 80,456 miles with Leather seats, Sunroof/panoramic roof, Cruise control, Alarm/immobiliser, DVD entertainment system, Alloy wheels, Heated seats, Climate control, ISOFIX, Parking assist. Approved used: No Gearbox: Manual Colour: White Description: Used 2013 BMW X1 2.0TD xDrive20d SE for sale - £12,490, 18,610 miles with Air conditioning, Alarm/immobiliser, Privacy glass/tinted windows, Bluetooth, Keyless entry/start system, ISOFIX, Parking assist. Approved used: No Gearbox: Manual Colour: Black Description: Used 2014 BMW 1 Series 2.0TD 116d Sport (116bhp) (s/s) Sports Hatch 5d for sale - £10,716, 21,632 miles with AUX/USB connectivity, Air conditioning, Alarm/immobiliser, Bluetooth, Keyless entry/start system, ISOFIX, Parking assist. brought the car as it has low mileage and has service history.I was not made aware of the body condition scuffs and scratches paint touch ups which i suppose was reflected in the price. I viewed car as arranged with James the salesman who was polite and professional answering all my questions and was happy to negotiate price. Absolutely no problems Though I did not buy the car this was not because of any concerns with the car or CDL. The customer service was second to none. They were polite and extremely courteous. Would thoroughly recommend this dealership. Friendly and welcoming salesmen. Also professional, and I did not feel pressured to purchase the vehicle. I would recommend to others. Very helpful and patient, good customer service. What a great company. This is the first time I have purchased a car from a dealership. I saw the car on the Car Gurus website after looking for ages for a VW in my price range. As CDL had such good ratings I felt confident to go to view the little car. The whole experience was fantastic and the salesman was so helpful and honest. The only slight problem was actually finding the place coming from Wallington, which was solved by strategically placed signs along Beddington lane. Very helpful nothing was to much trouble. Been to this dealer Seen the car Too pleased Good responses. . I would 100% recommend CDL cars to friends and family. Friendly service, attentive, honest, genuine and goes beyond usual customer service to help you make a decision in buying a car. We will go back when another car is needed. Thanks Kelly, really glad your pleased and was lovely meeting you both! Thanks Tom, glad we could help. It was a pleasure meeting you and your Dad! Thanks Amelle, we are really glad your pleased, it was a pleasure meeting you and your lovely family!